Apply fun Holly Tree effect to your photo. 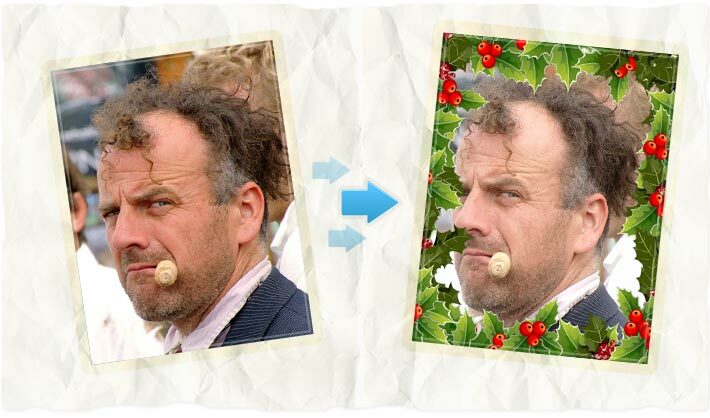 Photo fun Holly tree frame effect online. Holly Tree Frame - fun with your photos! This fun photo effect allows you to turn any picture into unique artwork! Upload any photo to our free photo maker and save the result to hard drive! Fun photo editing with AnyMaking will give you outstanding results! AnyMaking fun photo effects are absolutely free!